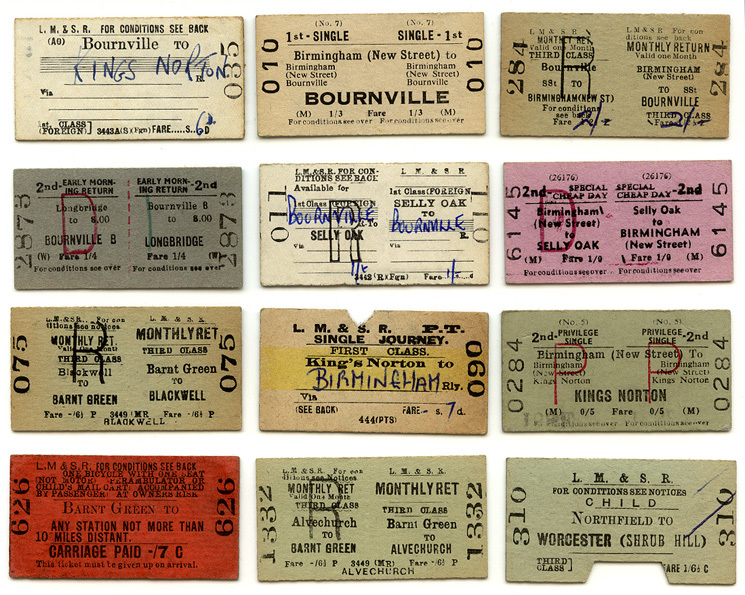 .A superb selection of tickets issued from stations on the north part of Birmingham & Gloucester Railway and others on the Redditch Railway. The second selection of tickets includes a West Midlands area ticket valid over a large number of lines including Birmingham & Worcester, also of great interest is the HM Forces ticket from Droitwich to Worcester and an SLS Special to Leominster in 1958. A wonderful collection. Many thanks to Paul Luscombe for granting permission to show them on this site. 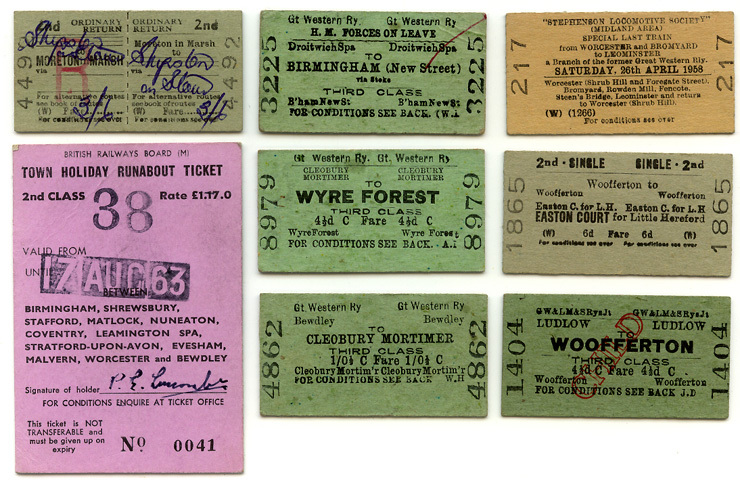 lThese three superb tickets are from the collection of Brian Penney who has kindly given permission for them to be reproduced on this site. 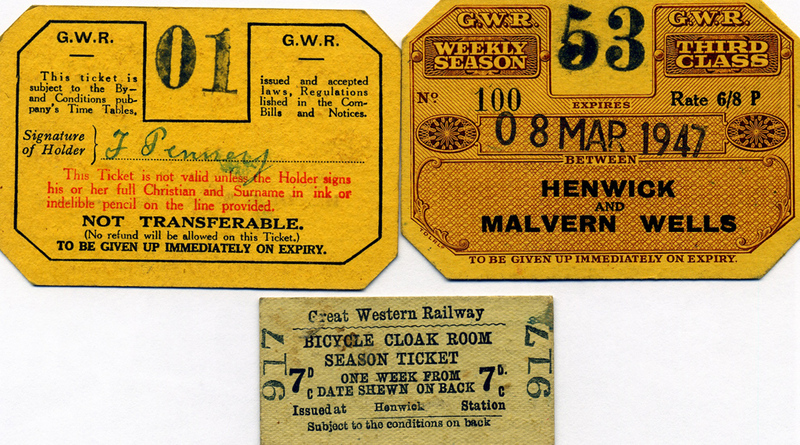 At the top are two GWR season tickets whilst underneath is a very rare Bicycle Cloak Room Season Ticket for Henwick Station.